Greenberg’s Jewelers has been helping their clients get engaged, celebrate a special occasion and simply say ‘I love you’ with their jewelry for years. Their pieces have already been the center for some of the most important events in their clients’ lives; so let them make your occasion special too. 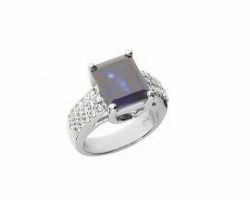 This store has an impeccable selection of diamonds and unique rings for women as well as countless gifts for men. You can trust this jewelry to help you find the perfect piece at an affordable price. 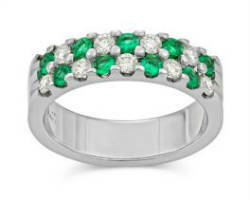 Since 2008, Alletti Jewelry has been offering the finest jewelry and custom work in Nebraska. 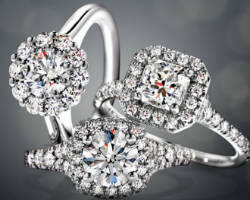 Since the store has grown in popularity and services, they offer rings from every origin from designer to wholesale, as well as diamond and custom services. In addition to this, the store has a reputation for offering the best silver-smithing services as well. Shopping at this store is truly an experience as you are guided through the options by an expert in the store and are free to follow your heart from there. Your engagement ring should be special and personal; not something that countless other women are wearing. That is why Borsheim Jewelry Co Inc. offers the option to design your engagement ring in addition to their unique collection in stores. When you design a ring with this company you choose every aspect of the ring itself including the set, the metal, the gemstone and the cut. Your soon-to-be fiancé will be blown away when they find out how their ring came to be. Bergman Jewelers is not your typical jewelry store. They do not offer the rings that you will find at every other jewelry store in Omaha, but offer something much more special and unique. This store specializes in consignment jewelry. 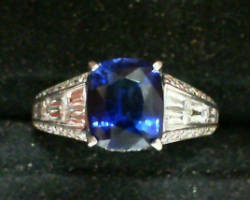 This is not a pawnshop however and is a full service jewelry store offering appraisals, repairs and custom design. By offering consignment jewelry, this store’s inventory is always changing and always fresh for new customers. With a family atmosphere, you can look through their antique pieces and new additions with ease. It is clear from the moment you step into Sartor Hamann Jewelers that they have a superior collection of jewelry. The pieces in this store have been selected because they are of he highest quality and style, something the customers of this store demand. 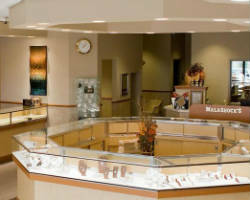 This is the only place you need to look in Omaha for engagement rings and wedding bands. Their selection of new, vintage and estate jewelry will leave you spoiled for choice in the best way possible. 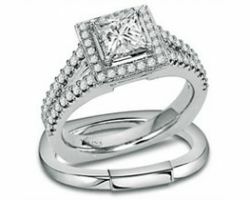 Elder Jewelry has been trusted by thousands of couples to provide them with classic wedding rings in Omaha. Their selection is unique as they carry very special designers and custom pieces. 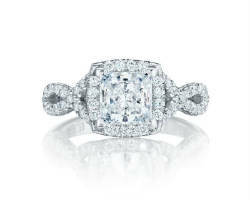 In the store, you will be able to shop for the perfect ring with help from the experts behind the counter. The store doesn’t just sell stunning jewelry, but they repair a broken or chipped stone, design pieces that will suit you and appraise jewelry as well. This means that the store is truly full-service. Finding an engagement ring in Omaha, NE can often mean searching though countless rings that all seem the same and have been worn by thousands before. For something more unique, shopping at Goldsmith Silversmith is a must. This store focuses completely on custom jewelry. The pieces they design are one-of-a-kind and will suit your personality much better. 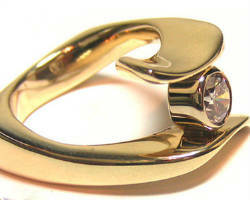 The artisans work closely with each client to ensure they are creating a ring that the client will love. The effort you put into the ring will be clear when you present it to your intended. Malashocks was one of the very first jewelry stores in Omaha, and has been growing in success ever since it was opened over 115 years ago. This store has a tradition of professionalism and excellent customer care, which is why they have been so successful for so long. They offer jewelry of all kinds for their customers. They have complete bridal and Kameleon collections as well as a full range of pendants and watches. Here, you will find a gift that is perfect for your special occasion.